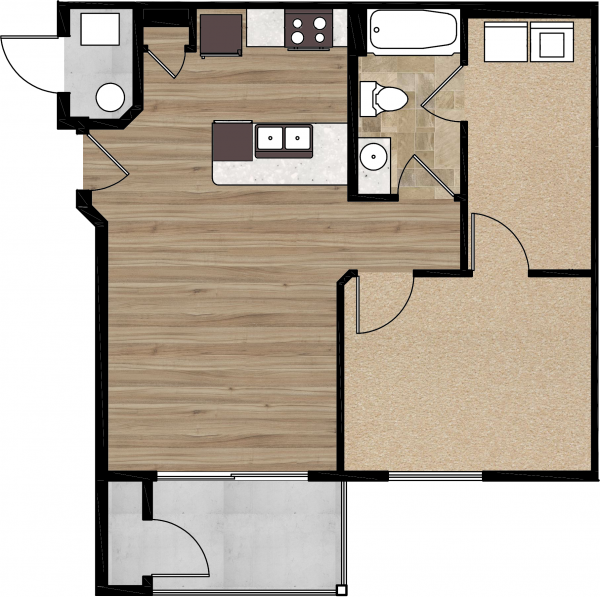 Scroll down to compare our various floor plan options. Don’t forget to check out our image gallery for a more personal view. We would love to help you find what you’re looking for, contact us to schedule a tour. Prices change daily. Call our leasing office for current availability, specials, and pricing. One Bedroom / One Bathroom Jr.
Two Bedroom / Two Bathroom Jr.